The Killer Whale is very social and they live in pods. They have hunting methods that are advanced and allow them to problem solve. They are very vocal too and their sounds can be passed through echolocation. Each pod can have their own lingo that is passed along to the new members that are born into it. 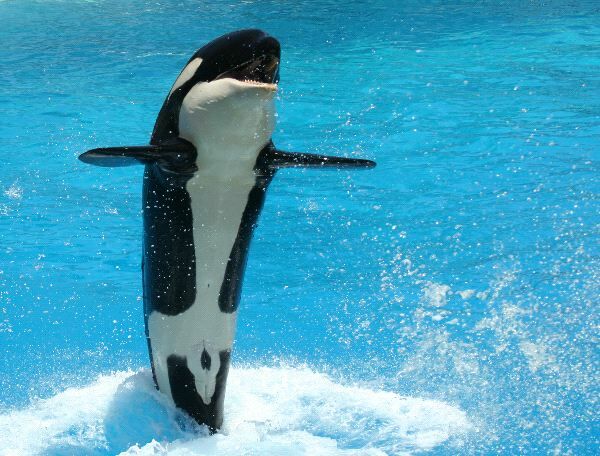 The Killer Whale features a black body and then white along the chest and on the sides. They are very thick and they can be up to 25 feet in length. They can also weigh as much as 6 tons. In spite of the name these are said to be very gentle creatures. They have to surface to take in water through their blow hole and can leap very high in the air when they do so.